What do you think, if the valve is injected back into the cobble which is terrible for the astralis and removed nuke from the pool, will the situation change with the dominance of the astralis? Why would think a "new" map would be bad for Astralis? Taking away Nuke will not really do anything since pretty much everyone bans that, so Astralis rarely play it and for sure they can learn a new map just as well if not better than other teams. Yes but not in full. Astralis didn't play cobble with this line up.Pretty sure with the level of preparation they have ,they gonna be at least top 3 at this map anyway. 1) Yes, but they rarely get to play it when it really matters so that win rate doesn't really mean anything. 2) Who played it since 2017? All the pros will need to get back into it and I would expect Astralis to be better at that than most + they will also be better than most at playing on some less known map. Idiots think astralis nuke is unbeatable. Have over 20iq and you would know they only play nuke when it's a good pick. Astralis doesn't spam 2 maps every series. They play everything else than cache at top 2 level. You know Cs Go is dead if they swap map for end the nr 1 to lose... Its the TOTALY worng way to trying to make ppl lose. The another teams can just play better. And Nuke did just come in last year. If you don't want the #1 team to win then have the rules say the #1 only gets to use four players, if that doesn't work make it three players. Only then also be ready for the scene to die, since nobody really want to see competitions that aren't fair so instead keep rooting for other teams to step up and match Astralis. Looking for ways for the game to chance to benefit all but one team is really not very sporting, instead you should be celebrating that Astralis is pushing CS:GO into becoming more professional. The new dust is a horrible map, old cobble was so funny to play. Maybe your right but you are thinking like old fart. All new not always bad/ Maybe I'm wrong, sry. i dont think it'll mean the end of astralis. they'll probably at least be decent on cobble, and they'll ban it vs top 10 teams that're good at the map. liquid and nip were historically good on cobble, i think bringing it back into rotation would help them a lot. Current iteration of cobble is frigging awful to the bone. It's like Valve murdered the map. They would just ban it every game? 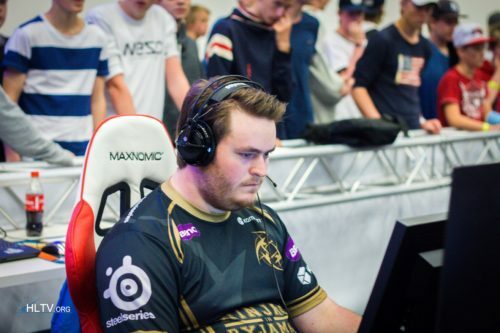 While Cobble is historically bad for Astralis, that was when their lineup had Cajunb and Karrigan. Glaive and Magisk both love Cobble as they played it many times on previous teams and did well on it. So even if Cobble were to come back into the map pool I imagine Astralis would be able to conquer it just like they have almost every other map.